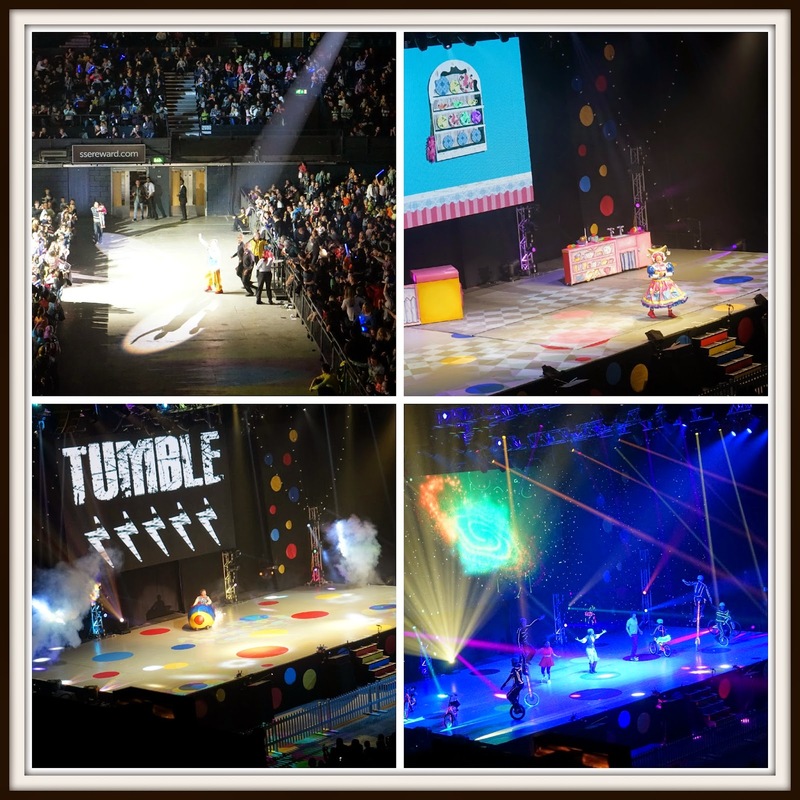 Today Mr Tumble's Circus rolled into town, well Wembley Arena to be exact and we were lucky enough to go along and see it! 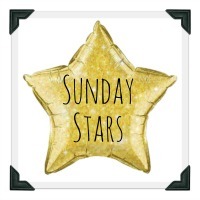 We are big fans of CBeebies and Elliot loves Mr Tumble and Gigglebiz. He is also a huge Andy fan (See here!) so when I told him we'd be seeing Justin AND Andy he was very very excited! In fact he hasn't stopped talking about it since he found out last week! We've seen smaller shows at smaller theatres before but never anything this large - I did wonder how Elliot would be but he took it all in his stride. We had brill seats to the left of the stage up high so he had a great view and was mesmerised! 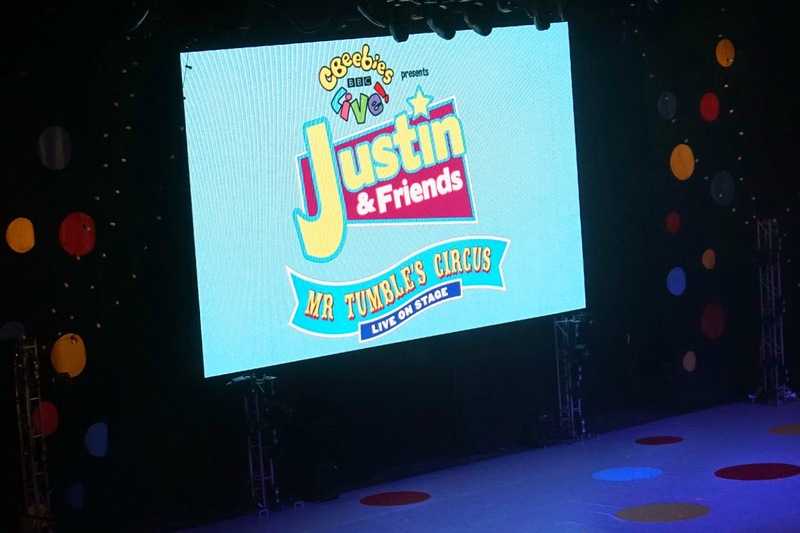 The show was a mixture of all of Justin's programmes - Justin's House, Something Special and Gigglebiz and lots of his popular characters made an appearance. I did wonder how Justin would manage to do all the costume changes but some of the characters include Arthur Sleep appeared on the big screen linking the scenes together. Aunt Polly even appeared from the side of the arena and walked through the crowd to the delight of the childen at the front! 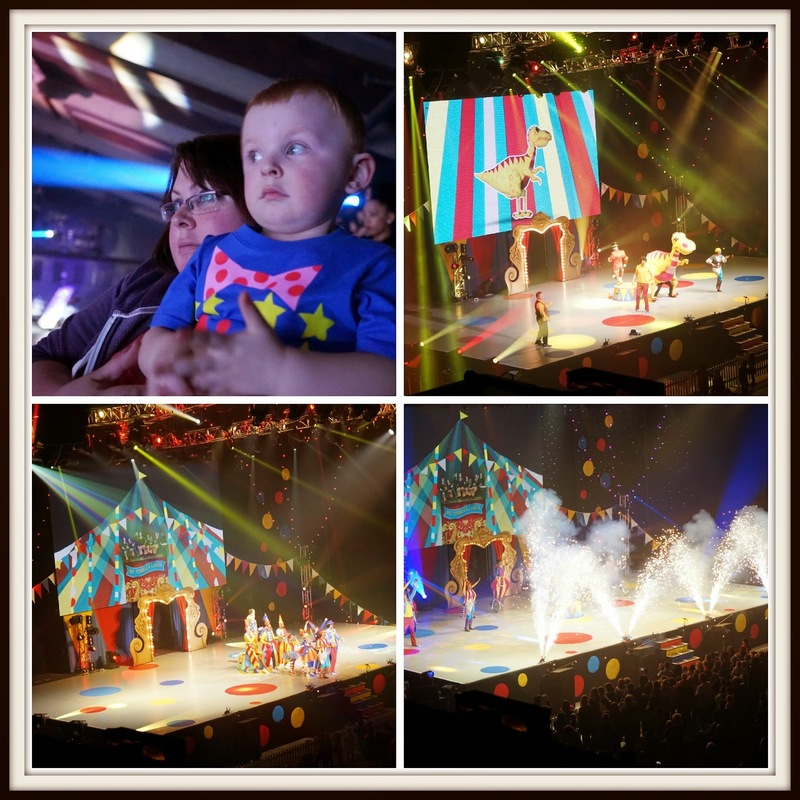 When Mr Tumble finally appeared in the second half, he appeared at the back of the arena and walked through the crowd to the sound of "Let Me Entertain You" - very apt! Justin is so energetic and had the audience in the palm of his hand throughout the whole time he was on stage. There were trains, cars, songs, dancing, stars, bikes that lit up and lots of happy kids! 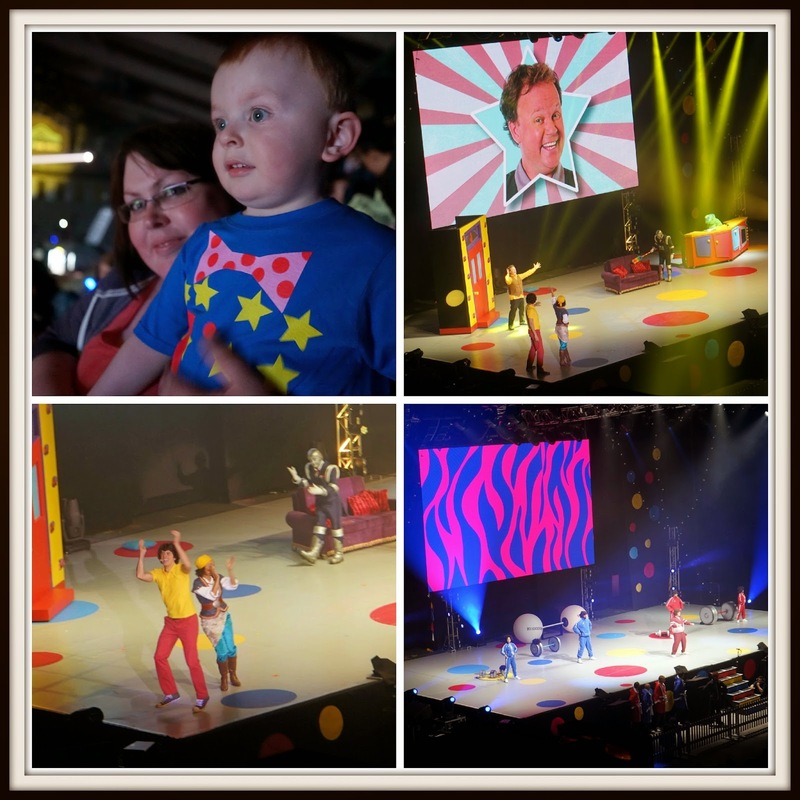 The grand finale featured the Tumble Circus - acrobats, clowns, jugglers, dancers....and Mr Tumble of course! I loved the use of the big screen on stage making it look like a circus tent. The show ended with two great songs - Reach and Hands Up and there wasn't a child in the arena who wasn't up on their feet dancing! It was a brilliant show and I'm so glad we had the chance to see it. 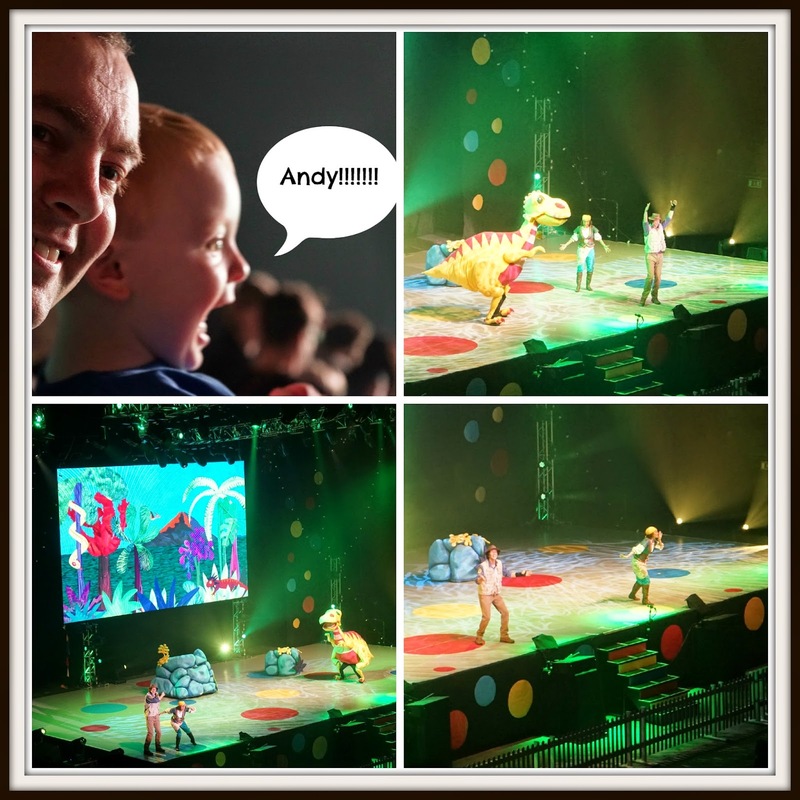 Elliot had such a great time and loved seeing Andy! Easy Fish Pie - Weight Watchers Friendly! Chicks, Tractors and Greedy piglets!